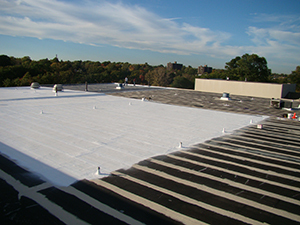 Rubber roof coatings provide an added layer of protection to your commercial roof. The benefits don’t stop there! You will see an increase in energy efficiency and extend the life of your roof. 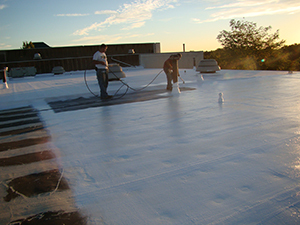 If you have a commercial rubber roof that you feel could benefit from a coating, we would be happy to help. Please give us a call today so we can discuss your roof’s eligibility and the many ways we can save you time and money. 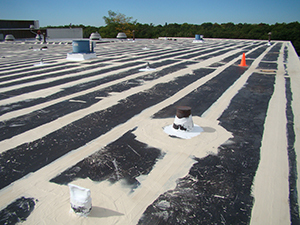 The roof coating process is simple – just another benefit to rubber roof coatings. In 3 simple steps you will have an energy efficient roof that will look great and function properly for years to come. 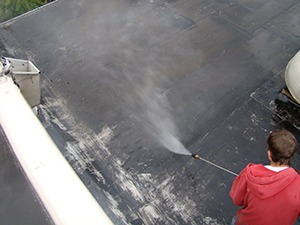 Thoroughly clean the roof and allow to completely dry. The coating will be applied. Discuss routine maintenance to fully extend the life of the roofing asset. 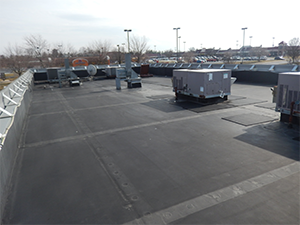 You now have a worry free commercial rubber roof! Each roof begins with an inspection to see if it qualifies for a roof coating. Call us today at (717) 442-0979 to find out if your roof can benefit from our coating services! Your roof plays an integral part in the success of your building and your business. 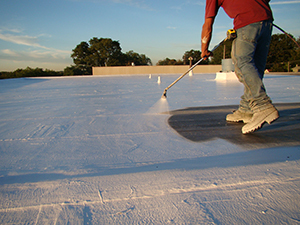 Let the professional commercial roof coating technicians at Capital Coating, Inc. get you taken care of. Don’t hesitate to contact us for a rubber roof inspection so we can determine your roofs eligibility for a rubber roof coating. 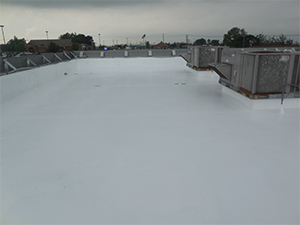 Facility owners prefer roof coatings because of their simplicity, durability and cost. We hope to provide this exceptional roofing solution for you. 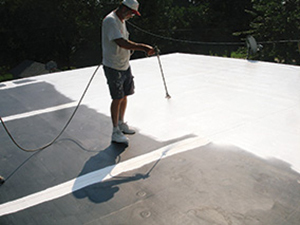 For a personalized rubber roof coating estimate, call us today. Our technician will carefully inspect your roof and discuss your coating options with you. When quality, experience and attention to detail matters, turn to Capital Coating, Inc. Call us today at (717) 442-0979 – we hope to hear from you soon!